Arguably, a plain white surfboard is a work of art. The amount of time, effort and experience (wisdom?) that goes into these resplendent forms that bring so many of us so much pleasure is quite breathtaking. But, for some, a need arises to elevate your craft to a different plane of aesthetic. Enter surfboard art. If you are looking for boards to give you both fashion and function, we list 8 stunning surfboards suitable for the surfboards connoisseur! 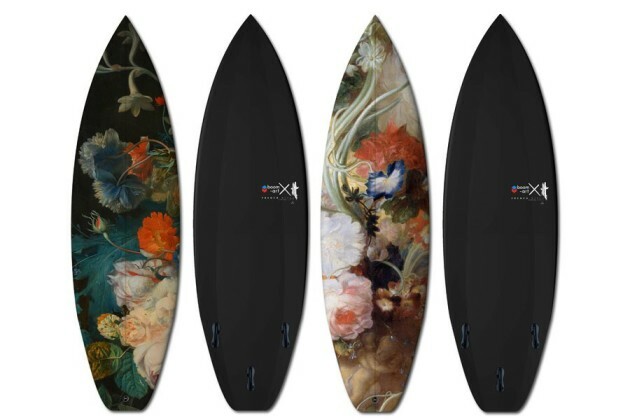 Boom-Art, an art gallery dedicated to skateboarding and surfing, creates a stunning limited-edition Flowers 1 and Flowers 2 surfboards with prints inspired by the paintings of 18th-century Dutch artist Jan van Huysum. 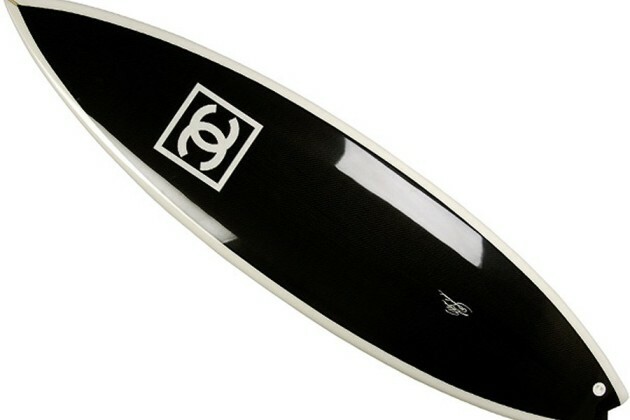 Looking for a “branded” surfboard? This black-and-white beauty definitely makes a statement. The Delft Portfolio by South African craftsmen organization Dutchmann is a fusion of style and function, having been shaped by master shaper Spider Murphy and custom printed by ten international artists and designers. Brought to us by California craftsman Tim Bessell and the Andy Warhol Foundation, this limited-edition surfboard is printed with an image from Andy Warhol’s “Flower” series. 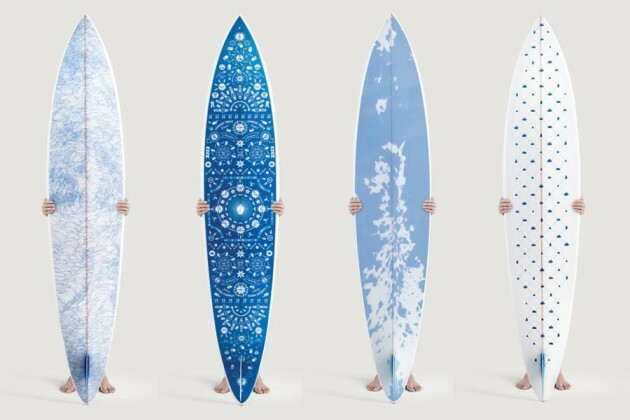 Author and stylist Sibella Court in collaboration with Australian surf company McTavish produced a collection of surfboard art focused surfboards. The McTavish Surfboards Collaboration Flamingo Stepdeck 8'6" is an easy ride at 8'6" x 21 1/4" x 2 3/4" dimensions. 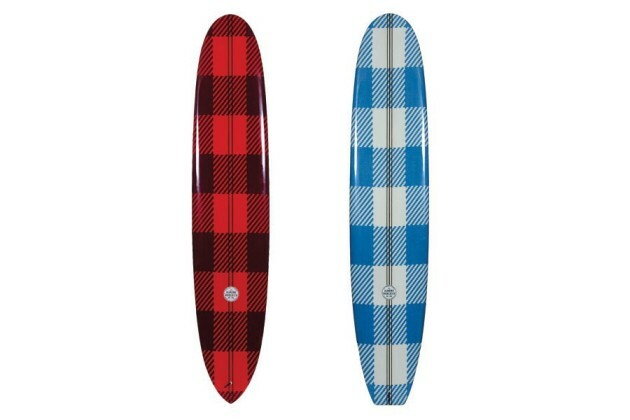 Almond Surfboards created a limited-edition custom boards designed with Woolrich’s classic buffalo plaid in celebration of their partnership with the clothing brand. 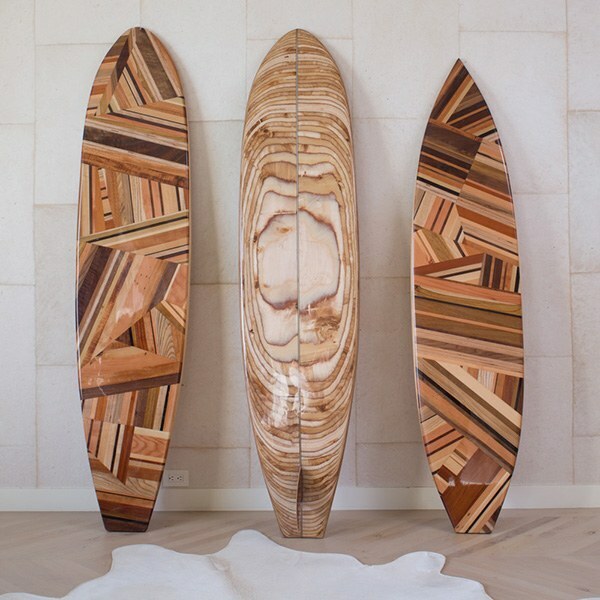 Inspired by Malibu’s surfing lifestyle, international interior designer Kelly Wearstler created eye-catching patterns with Mulholland (left), Zuma (right), and the Pacific (center). Pricing is available in Kelly Wearstler’s website. 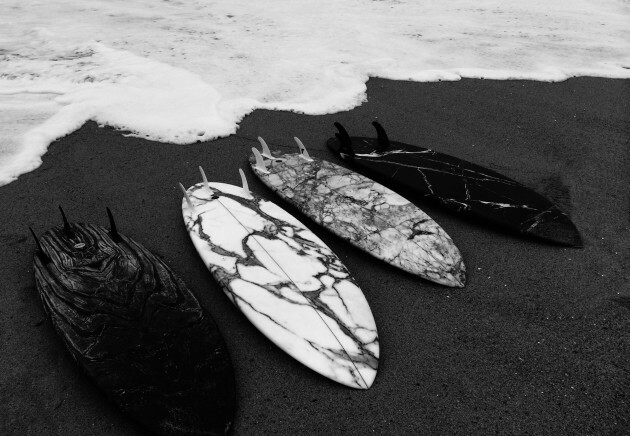 One of our surfboard shapers, Hayden Cox of Haydenshapes, brings the Marble Collection to the global bestselling Hypto Krypto model. Each comes at $1,495. The only problem with exquisite surfboard art is waxing your board for its first surf!